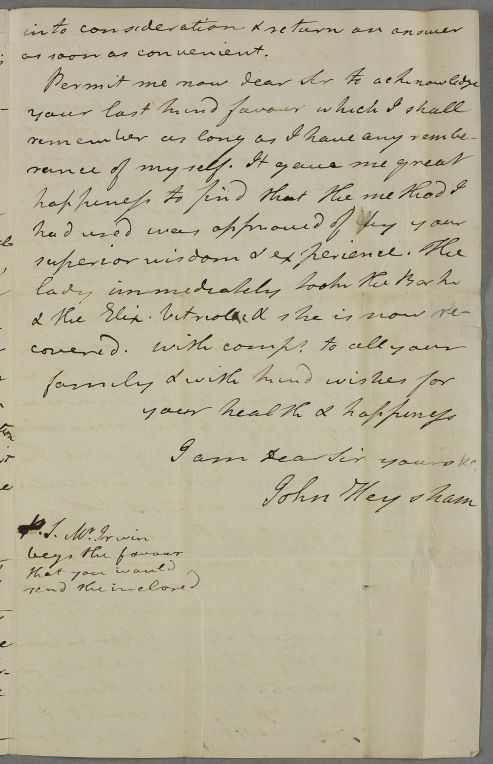 Letter from John Heysham concerning the case of Mr Irwin and mentioning the case of a 'lady' now recovered. 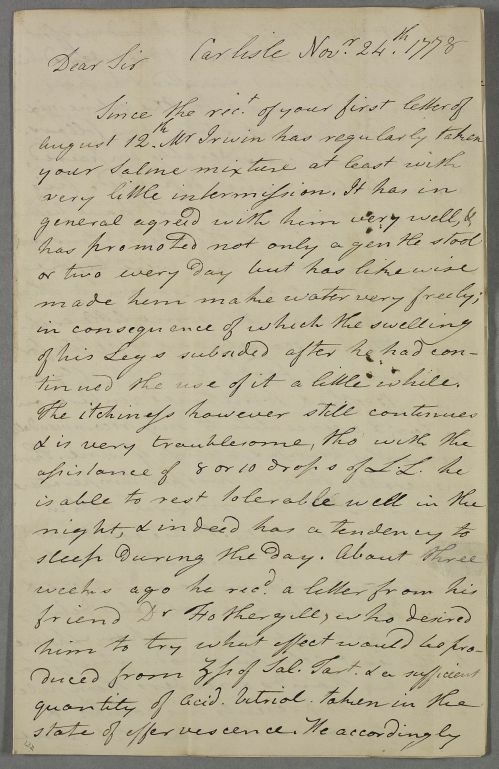 Summary Letter from John Heysham concerning the case of Mr Irwin and mentioning the case of a 'lady' now recovered. 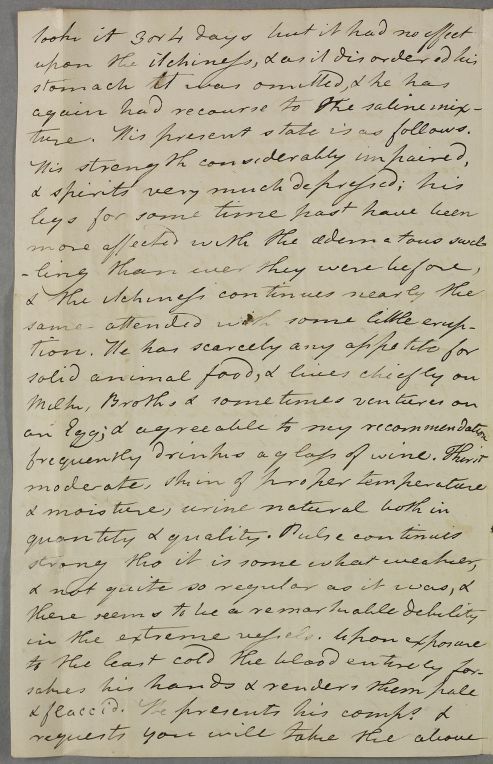 Case of Mr Thomas Irwin [Irwine] who suffers from swollen legs, itchiness and biliousness and which eventually proves fatal. 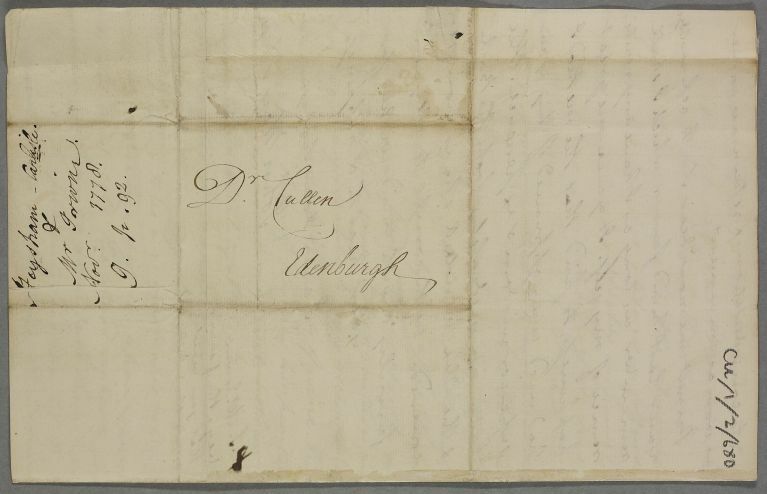 Case of an unnamed 'young lady' attended by Dr Heysham for Typhus. tinued the use of it a little while. ture. His present state is as follows. I am dear Sir your &c.